You have just turn on the computer and just then the computer gets restarted. Or it crushes the programs or keeps hang frequently. 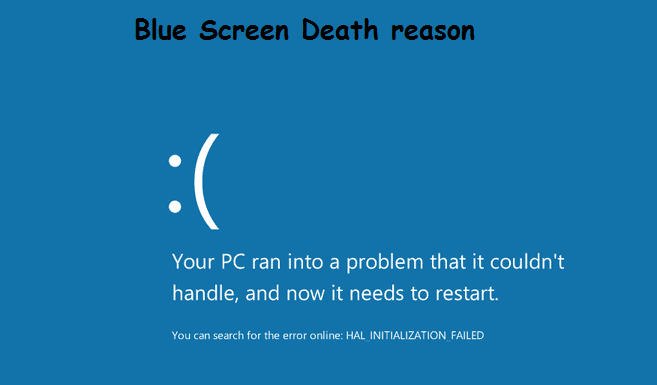 Sometimes there shows a blue screen with error message and getting restart. I am sure just thinking about these things are a terrible nightmare to you, isn’t it? But these problems may not just nightmares but it also may come true. But how do you understand why these problems are occurring? Of course, to fix these difficulties, you need to know where the exact problem is. Your computer may become hang or freeze because of many reasons. Sometimes the computer may freeze due to hardware or faulty drivers. I discussed about another article “Solution: If your Pc Suddenly Not Turn On?” – It would be better to read it at first. For most unknown problems we do not have any ideas, just what should to do? If the cause of the problem is unknown, no matter how much computer specialist he is. Fixing a computer can be a difficult task for him. In the rest of the article, I will discuss about some utilities such as where you have problems, or what kinds of error messages are being created by your system, it will be useful for you to know. If you have at least the error message, you can find out the problem by Google. 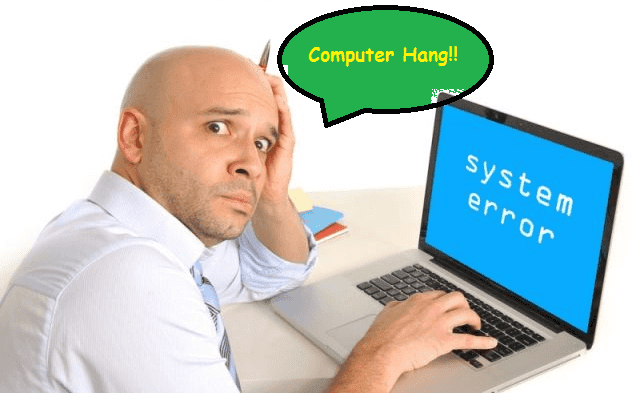 But if your computer suddenly crashes or gets hang, it’s quite normal because no system is perfect. Maybe the defective software is freezing or crashing your system. And if your system constantly crashes or stops then there is a problem with it. In this case, you must find the problem and try to fix it. 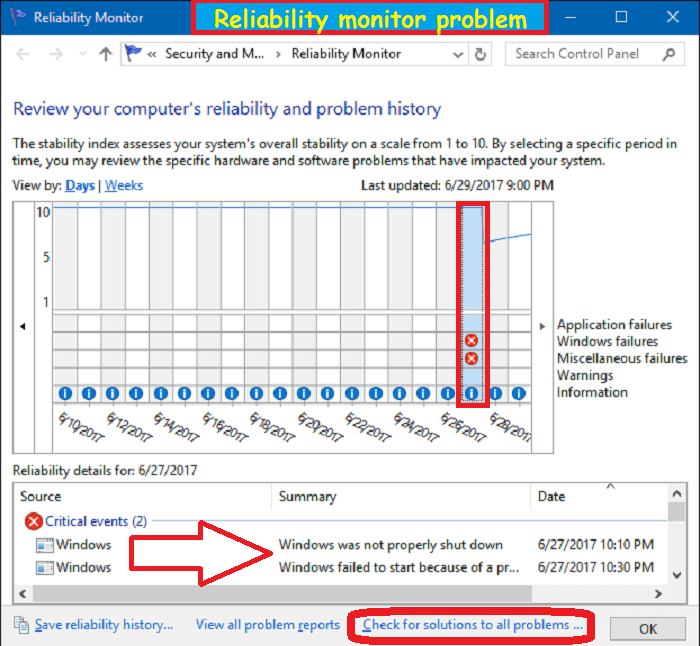 Reliability Monitor is a default tool of computer Windows, provides a fast and very simple interface. This tool releases with Windows Vista and now it also in the current Modern Windows. Just type "reliability," in the search bar then the tool will come up. This tool helps you to show the reports every day. Here's a full report of the problems of how a software crashed, why the windows restarted and so on. It's not just a daily report, but the tool will get reports for a few weeks. According to When and which software created the problem there shown a red cross. Select the crosses and show the causes of the error below. What was the exact reason for hanging or restarting, you can easily understand from here. You can find Solutions from the "Check for solutions to all problems" link below, here Windows will try to solve Problems manually. But if that is not possible, then the best will be just update hardware driver. Do not be dependent long time on the DVD driver that was provided with your computer. Please visit the manufacturer's company website, check that the driver update has been received, download and install the default. This reliability monitor might not solve your problem, but at least you know it, where is the problem. If there shown graphics related problems, please update the graphics driver. If you have problems with the hard disk, please update the hard drive driver. Or if you do not understand what you should do then just search by Google with the error message. Trust me, most of the computer specialist solve the problem by Google. Most of the time they do not have any ideas, what's the problem. Nowadays this problem has become quite common for windows computers. Turning in the computer or by running two software or suddenly, the screen suddenly turns blue and the PC restarts by making an error message frequently. Most of the time, this problem is for older and faulty drivers. But to understand why this is happening, it is important to see error messages. 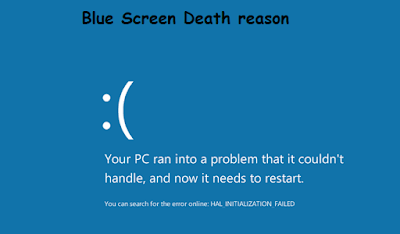 When submitting a dumb memory file by displaying blue-screen error on the computer windows. And sometimes this file may contain useful information. 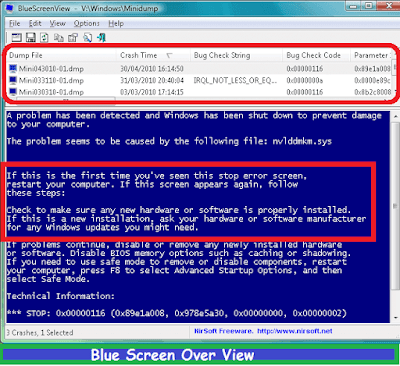 A free utility software called BlueScreenView helps to display the list of saved files on the dump. You can click on any dumb file to know the information about it. Each time a blue-screen error occurs, an error message is displayed. You can see the exact same messages in these dumb files. Now try to write error messages and Google it. You will find many solutions. With that you can understand where the problem is; problems with a driver, graphics card problems, memory problems, or hard drive problems. Honestly, it is not possible to write tips about the solution for every problem. There may be different reasons behind the same type of problem. If the reason of error can be find out then it will be easy to fix the problem. But not like that the problem will be solved just searching in online. Maybe your computer has hardware problems and which can only be resolved by replacing those hardware. if there have a problem though using updated driver and latest version windows then there have hardware problem.